To be sure, the Cubs’ TV network announcement came after yesterday’s Spring Training press conference, but, given that the Cubs have signaled the revenues from the TV network might not ramp up for a few years, I don’t know that the announcement fundamentally changes the baseball budget. That is to say, Theo Epstein’s comments still stand, when he was asked whether the Cubs might try to go after a big-time free agent still out there on the market. Although Epstein indicated the Cubs are still in contact on some relievers, he all but completely closed the door on a big-time signing. In other words, the Cubs aren’t hiding the ball: they don’t have the flexibility in the baseball budget to sign a pricey contract right now. 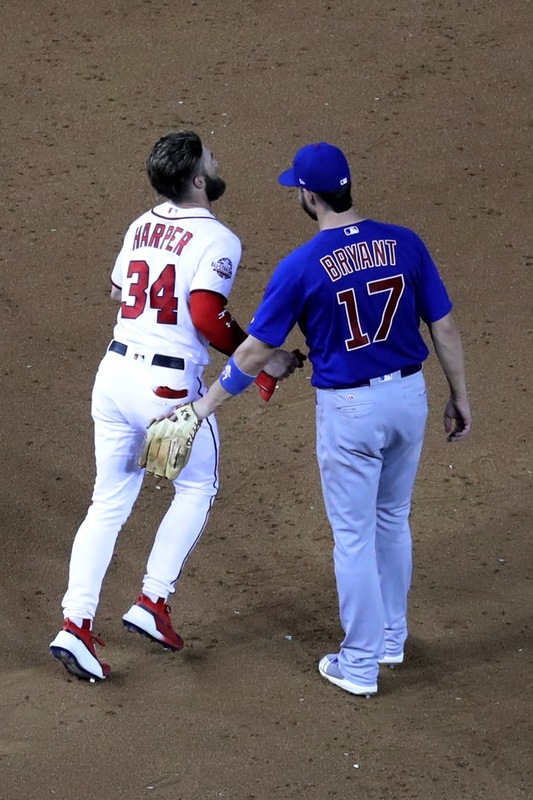 We can contend that seems a very short-sighted organizational decision, given the rarity of free agents like Bryce Harper and Manny Machado, given the depressed market, and given the Cubs’ competitive window. I … probably would contend those very things. But this is the reality. Now I just hope the Cubs can add one more potentially impactful reliever, and surprise with a defensively-inclined veteran back-up catcher. Next Post Next post:Will Aaron Nola’s Team-Friendly Extension Be the First of Many in a New, Riskier Free Agent Market?